Will we get to sail the seven seas in the next Creed saga? If you remember when we first heard the first rumblings of Assassin's Creed III, you'll also recall that the game's them and title were leaked by tipsters well in advance of the official announcement. Now, it seems, the same thing is happening with the next title in the Assassin's series. Allegedly titled Assassin's Creed: Black Flag, the game is rumored to take the series out to sea with a gritty, rum-drenched pirate theme. 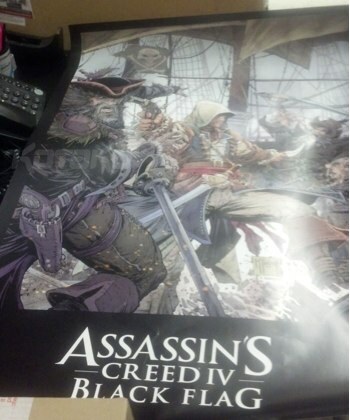 This rumor is seeing support from two different sources: First, a Kotaku tipster to sent photos of marketing material with the Black Flag name and what appears to be an assassin engaged in some pirate warfare. 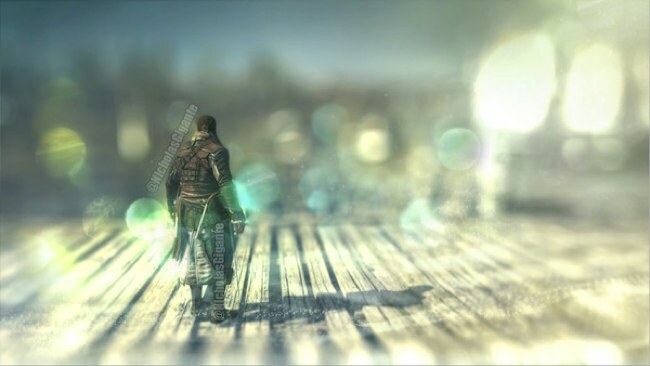 And second, an alleged screenshot of the title has also made it to the web, showing a swashbuckling character in a very Assassin's Creed-esque pose. Could this all be nonsense? Of course. But given the series' history of prematurely appearing for public eyes - and considering the visual evidence at hand - it's looking fairly likely that we'll be taking to the salty seas in the next AC title. Ubisoft is scheduled to hold an Assassin's Creed-themed event on February 27, so we probably won't have to wait long to find out the truth.